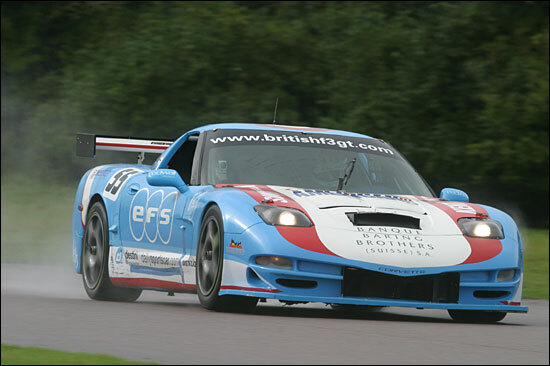 There was a new look to the Embassy driver line-up at Thruxton for the penultimate pair of 2004 season races. 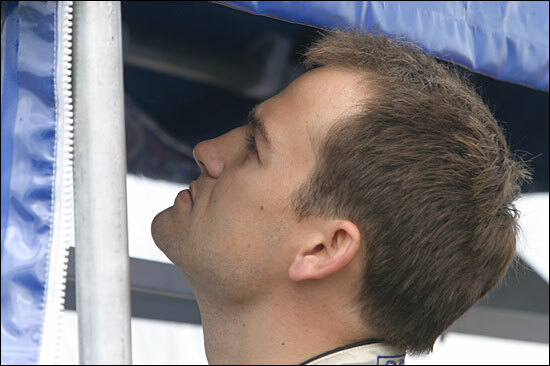 Reigning Ascar champion Ben Collins was delighted to return to (conventional) circuit racing and was relishing the “different experience of turning right as well as left”. It had been a late call-up for Ben but the decision was an easy one and expectations were immediately high from both sides. “Ben had the lion’s share of the two hour Friday test session as it was the first time he had been in the car. Neil only had about 15 minutes, but we wanted to get Ben as familiar with the car as we could. He has won in every class he has raced in apart from prototypes, but then he has led Le Mans.” justified team boss Jonathan France. Ben had a steady, yet impressive further familiarisation session with the car, working his way through 1:18s, 1:17s and into the 1:16s himself, proving Jonathan’s claim to “have the best pair of drivers in the series”, most of the other pairings having a second or so gap between their quickest and slowest drivers. A 1:16.088 was their best time by the end of the session and put them sixth on the timesheet, but with both drivers agreeing on the same direction there was hope for improvement. “We are going stiffer, much stiffer,” was the verdict of Jonathan France, Cunningham, Collins and technical man Dave Beecroft. 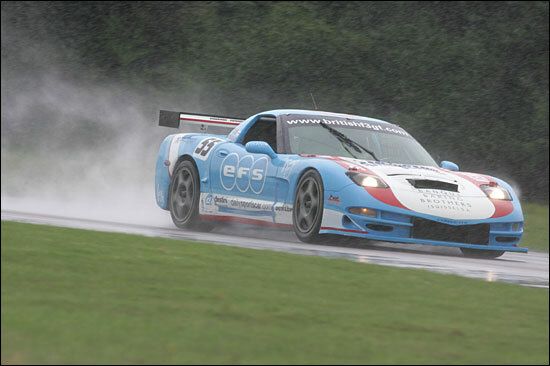 “I knew I should be able to go faster as the track started clearing,” said an exasperated Cunningham, “but I knew if I pushed any harder I was going to go off, the car definitely wasn’t right.” It didn’t look right on the timing screen either as his fourth place in the wet slumped as he just couldn’t find the extra time needed as everyone else capitalised on a drying track: he was dumped back to eleventh on the grid for Monday morning's race, with a 1:27.569.